You can’t keep hitting snooze forever. Eventually, reluctantly, you’ll have to brave the cold light of morning and get out of bed, dragging your feet across the floor and slumping into the bathroom to get ready to face the real world. The day won’t wait on you, and surely you have very important things to do, so you might as well get a move on. Getting up doesn’t have to be a drag—follow these tips for a seamless transition into the land of the living in the morning. Make waking up worth it. If mornings are a serious buzzkill, plan something worthwhile to do when you first wake up. Maybe hitting a particular breakfast spot down the street or taking your dog for a walk in the fresh air is enough to bribe yourself to get up. Maybe you’ve been eying a fancy coffee maker for awhile and honing your latte art skills is motivation to get up. Maybe you withhold checking your social media or favorite news sites until you’re up and out of bed, so you don’t get stuck on Twitter under the covers all morning. Whatever it is, find something that you actually look forward to doing and work it into your morning routine. 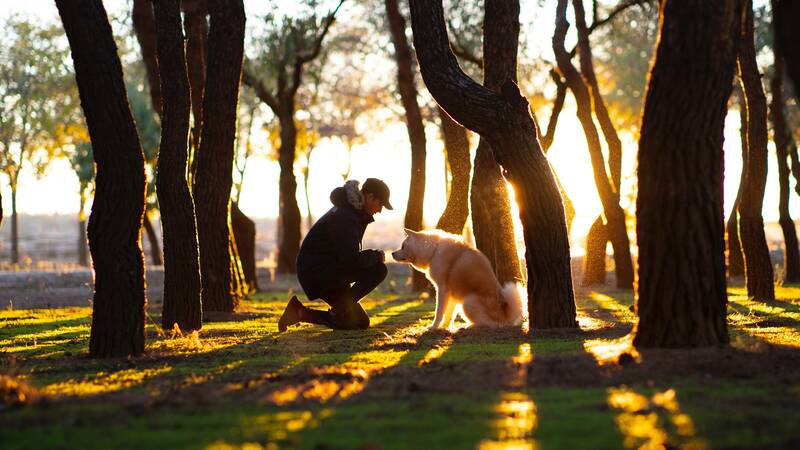 A big part of the wake-up process has to do with light exposure. The lighter our surroundings become, the less melatonin our bodies produce, which means you’ll naturally start to wake up. Ever wonder why if gets infinitely harder to wake up in the winter? Dark mornings probably have something to do with it. If you’re finding that you struggle to wake up in the morning, open your curtains and let some sunlight hit your bedroom, you should perk up pretty quickly. 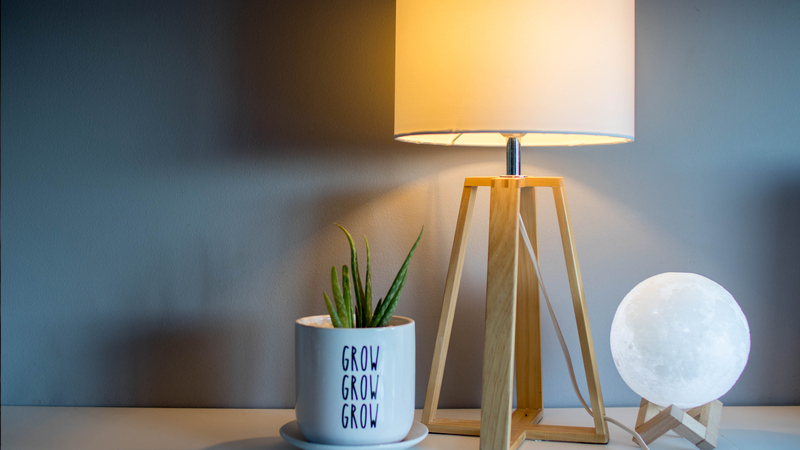 If you live somewhere that’s perpetually dark in the mornings or cloudy outside, a lamp that mimics natural sunlight, like this one, can help you get on board with your morning routine. Hating getting up might be the symptom, not the disease. If you’re routinely struggling to wake up in the morning, it might be time to look at how well you’re sleeping and what you’re doing before bed for problems that you can solve. 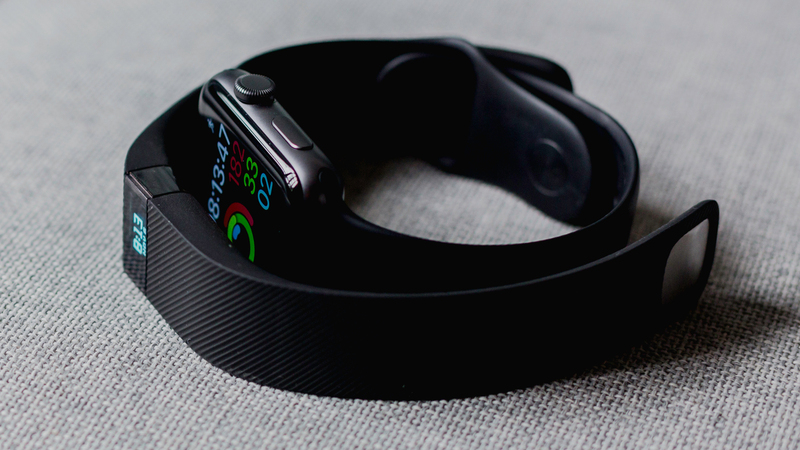 If you aren’t sure that your sleep is the culprit, try an app or sleep tracker that goes under your mattress and see how your sleep stacks up after a week or so. You might find that you’re spending a lot of time trying to get to sleep, or waking up more than you realize. These interruptions can make the morning dreadful, and knowing that your sleep isn’t as great as it should be can help you isolate the problems. Alcohol before bed has been shown to cause more than a few problems, but interrupting your sleep is a major one. It can be tempting to end the night with a drink to help you get to sleep, but alcohol has a “rebound effect” that actually makes your body more active once the sedative wears off. You’re probably thinking we’re nuts, you can’t get out of bed before a cup of coffee, but too much caffeine may actually be compounding your issues. If you can’t totally cut caffeine, try limiting the amount you drink after mid-morning and see if you start to sleep better, and wake up easier. If you’re struggling to get to sleep at night, and trying to catch up on sleep in the morning, melatonin is a natural supplement that helps plenty of people get to, and stay, asleep. Melatonin is available at most drug and grocery stores over the counter, but you should always consult with your doctor before starting a new medication. Listen. We get it. Those extra ten minutes are sometimes all you have to look forward to in the morning, but how often does one snooze turn into two, three, or four? Hitting the snooze button just once is setting yourself up to fail—make it a rule that you simply aren’t allowed to utilize it. Sticking to your scheduled wake up time means less grappling with the realities of time first thing in the morning and should get your day to a much smoother start once you’re used to it. If you need more of a reason—it isn’t possible to get deep, REM sleep that actually helps you feel better between snooze hits, so you’re just making it harder on yourself and prolonging the inevitable. 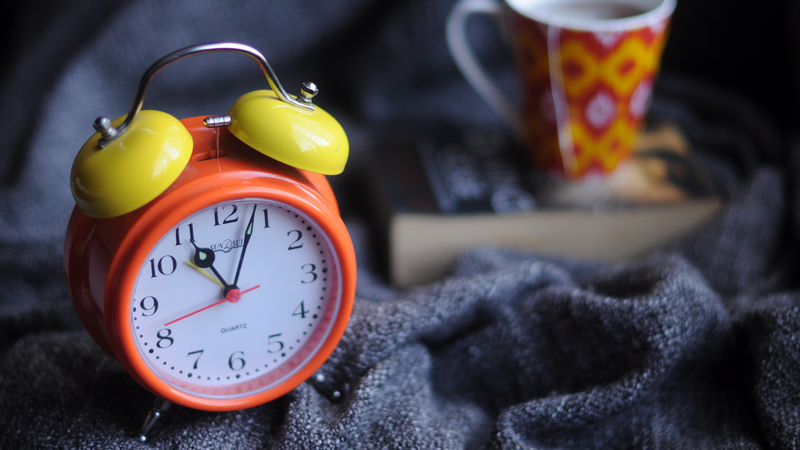 Kick the snooze habit and you'll be jumping out of bed ready to take on the day in no time.